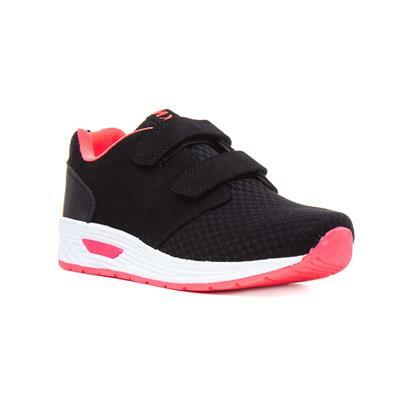 These Black & Pink girls trainers from Mercury make for the perfect PE trainers for school as they showcase a round toe, two riptape straps for easy and quick fastening and a comfortable padded insole. Sturdy and comfortable. Good value for money. Staff very friendly and helpful at the Maidstone Chequers Branch. Thanks. My little girl loves these trainers. Stylish and easy to put on herself. Perfect trainers for my daughter for school pe..look lovely very happy with the great price. Excellent product. Comfy and stylish my daughter says they are the comfiest trainers she’s ever wore and wants to wear them all the time.